Before Lincoln even penned one line of his immortalized Gettysburg Address, delivered 152 years ago at the dedication of the cemetery for the fallen, so much had happened earlier that summer. National Park Service’s work Gettysburg National Military Park, authored by Frederick Tilberg, describes the events that spawned both battle and address. The attack-counterattack stratagem of commanding generals Robert E. Lee of the Confederate Army and George Gordon Meade of the Union Forces resulted in three days of struggle, shelling, and shattered bodies. Both sides bore heavy losses. Columns of valorous cavalrymen became matted fields of fallen blue and gray. Pickett’s Charge, Little Round Top, and the High Water Mark of the Confederacy marked the gore and glory of the Gettysburg campaign. 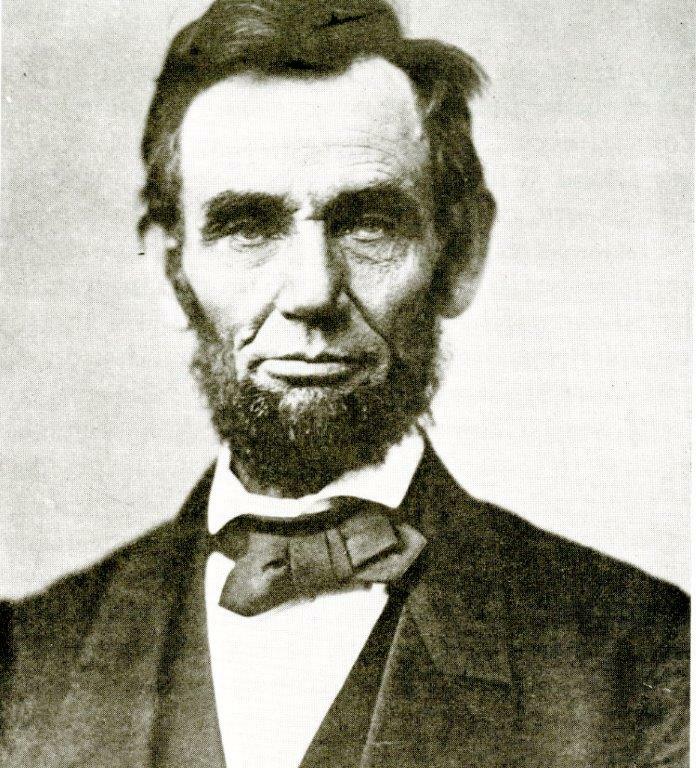 The Alexander Gardner portrait of Lincoln, taken 4 days before the Gettysburg Address (excerpt from publication). What makes this publication so distinct is that it draws a wider circle around the conflict. Beyond the battlefield maneuvers and artillery fire, those hellish days in the Pennsylvania farmland left a whirl of aftereffects. The work touches upon the burden of care shouldered by the war-weary townspeople and the establishment of the burial ground. Included within the narrative are quite a few examples from the great gallery of artwork inspired by daring infantry assaults and cannonade. The gallantry is dazzling in the famous cyclorama painting “The Battle of Gettysburg” by French artist Paul Philippoteaux that forms the book’s cover. In his famed speech, President Lincoln carefully expressed the crisis—and unfinished work—that confronted a divided nation. As the author writes, “Lincoln gave meaning to the sacrifice of the dead—he gave inspiration to the living.” The deeds of battle and the words of an American president resonate today as they did so long ago. February is National African American History Month, also known as Black History Month in the United States. One significant event in African American history happened 151 years ago. On January 1, 1863, President Abraham Lincoln issued the Emancipation Proclamation, announcing “that all persons held as slaves” in rebellious areas “shall be then, thenceforward, and forever free.” While this Executive Order only freed slaves living in Confederate states during the Civil War, it nevertheless ultimately paved the way for the eventual abolition of slavery in America and became an important aspect of President Lincoln’s legacy. As we honor African American heritage this month, I’m reminded of the Emancipation Proclamation and the “timeless principles” President Obama was speaking of. The significance of Abraham Lincoln’s signing of the Proclamation during the Civil War was two-fold for African Americans. As mentioned earlier, not only did it lay the foundation for the eventual freedom of all slaves, it also allowed black men to enlist in the Union Army and Navy. This strategic Presidential “war measure” provided African Americans the opportunity to join in the fight for their freedom, in effect enabling the liberated to become liberators. By the end of the war, almost 200,000 black soldiers and sailors had fought for the Union and freedom. 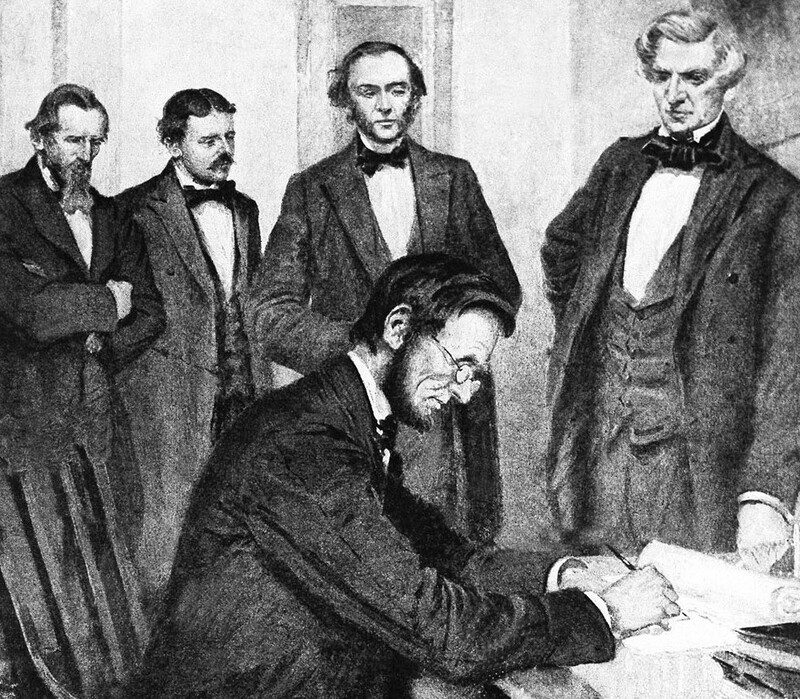 As history teaches, the Civil War was initially about preserving the Union; however, the Emancipation Proclamation also made it about freeing the slaves– “an act of justice” that would grant African Americans, and generations to come, equal citizenship in the U.S.
For this reason, the Emancipation Proclamation remains a widely recognized symbol of freedom in American History that will forever be revered in Black History. Image: Engraving by W. Roberts with the text of the Emancipation Proclamation. Source: Library of Congress’s Prints and Photographs division under the digital ID pga.04067. But the Emancipation Proclamation also played a significant role in GPO’s own history. Did you know… the then newly established Government Printing Office printed the preliminary version of the Emancipation Proclamation for President Lincoln as one of its first major tasks? The original printer’s proof version was displayed for six months at GPO’s 150th History Anniversary exhibit that opened in June of 2011. I (along with many other GPO employees and visitors) was given an extraordinary opportunity to personally view the original historic document, which contained the printer’s actual proofing marks with requested changes! 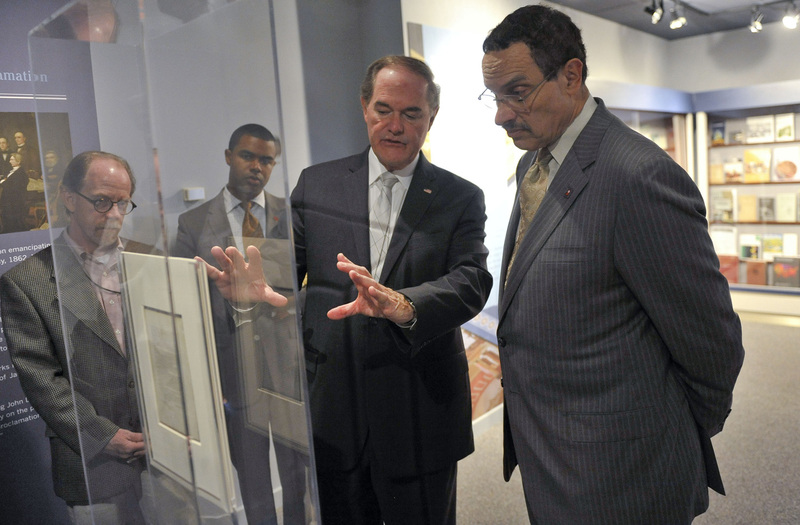 The GPO history exhibit is currently open to the public with free admission, Monday through Friday from 8am to 4:30pm at GPO’s Washington, DC, headquarters at 732 North Capitol Street NW. Unfortunately, the landmark document, which was on loan for six months from the Library of Congress, is no longer available for viewing, but many more historic exhibits are on view for free. To learn more about GPO’s role in the printing of this historic document and other important Federal publications, read GPO’s 150th anniversary history book, Keeping America Informed: The United States Government Printing Office 150 Years of Service to the Nation. 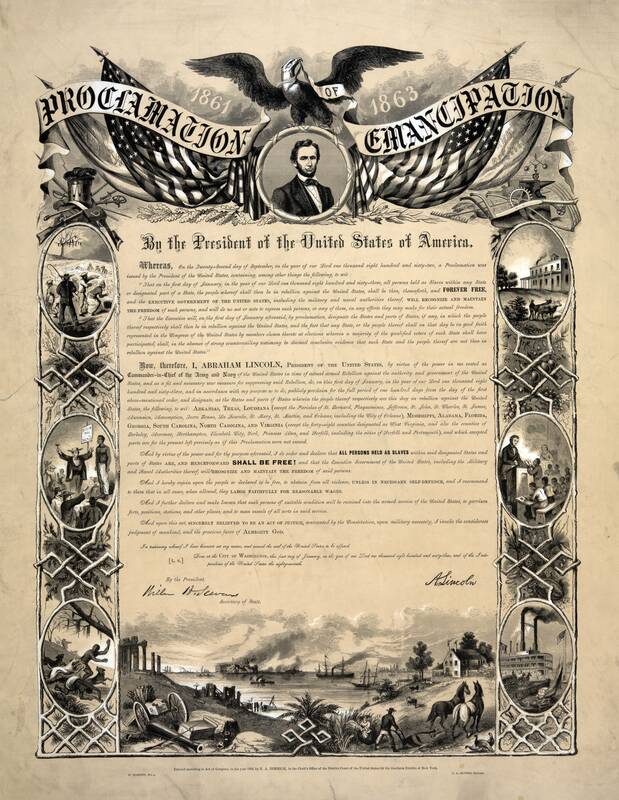 However, you can view and/or read the entire Emancipation Proclamation online at the National Archives website or visit the National Archives in Washington, DC, to see the original signed document. To help parents and educators teach children about the importance of the Emancipation Proclamation and its role in Black History, the National Archives and Record Administration (NARA) published the 150th Anniversary of the Emancipation Proclamation: Commemorative Coloring Book: Forever Free. Image: Buy the family friendly 150th Anniversary of the Emancipation Proclamation: Commemorative Coloring Book: Forever Free. 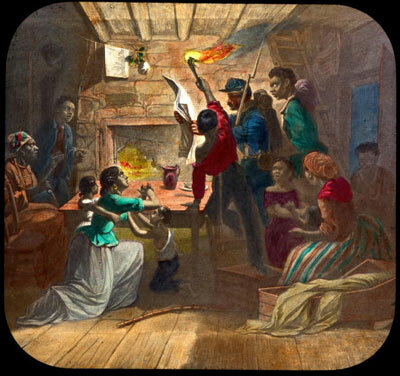 On December 31, 1862, many enslaved African Americans gathered in churches and prayed. Throughout the night, they waited for the moment when the Emancipation Proclamation would take effect. This special night became known as “Watch Night,” and continues to be celebrated today in many African American churches on New Year’s Eve. Other short biographies of important figures in black history covered in this book include Rosa Parks, Martin Luther King, and President Barack Obama. How can you get these publications? Buy “Discovering the Underground Railroad: Junior Ranger Activity Book“. Click here to shop our entire Black History Month collection. About the author: Guest blogger Trudy Hawkins is a writer and marketing specialist in GPO’s Publication & Information Sales Division supporting the U.S. Government Online Bookstore (http://bookstore.gpo.gov). Images and additional content provided by Government Book Talk Editor Michele Bartram. Bartram is Promotions and Ecommerce Manager for GPO’s Publication and Information Sales Division in Washington, DC, and is responsible for online and offline marketing of the US Government Online Bookstore and promoting Federal government content to the public.